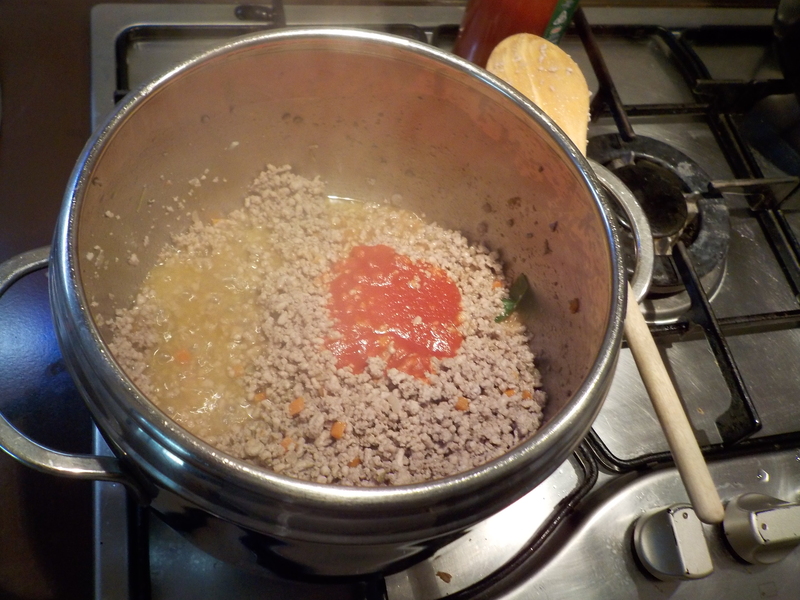 Easy recipe for Italian Bolognese sauce – KIMOMO Lab. 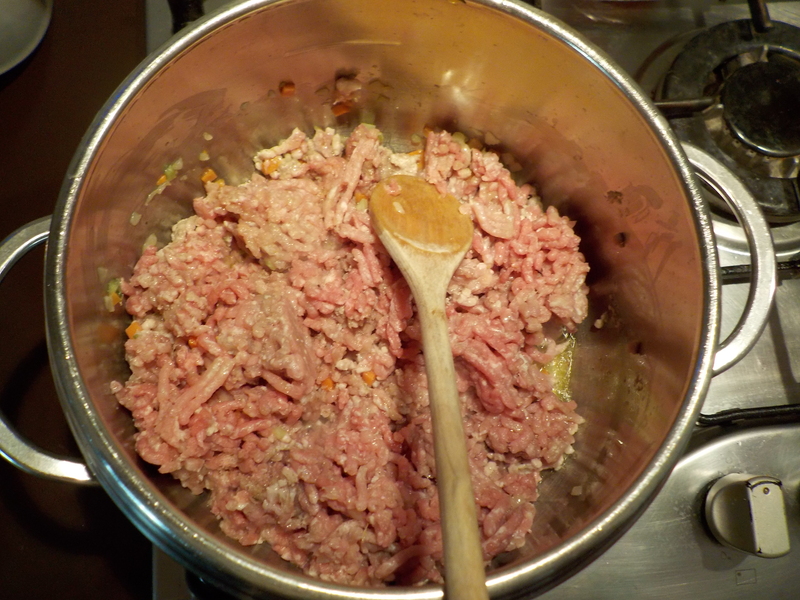 Also, I only make this recipe with minced meat (I usually choose a mix of pork and beef, sometimes only pork), without the addition of pancetta (a type of bacon) or other cold cuts, but I’ll explain you how to do it both ways, with or without bacon. If you’re using bacon, chop it into small pieces and keep aside. 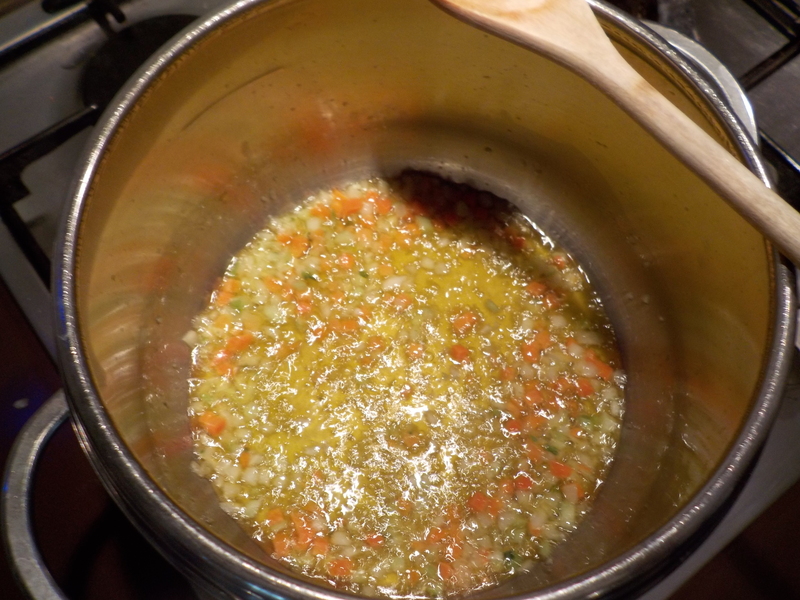 Dice onion, carrot and celery finely or coarsely according to your taste; I prefer to use more onion that carrot and more carrot than celery, and I chop up everything finely, except some slightly bigger pieces of carrot. Put the bacon in a pot or pressure cooker on low-medium heat, and let it melt, stirring with a wooden spoon, then add 3 tablespoons of olive oil. If you’re not using bacon, just heat 4-5 tablespoons of olive oil and add the diced vegetables: they have to lightly fry and sweat on low heat for a few minutes. 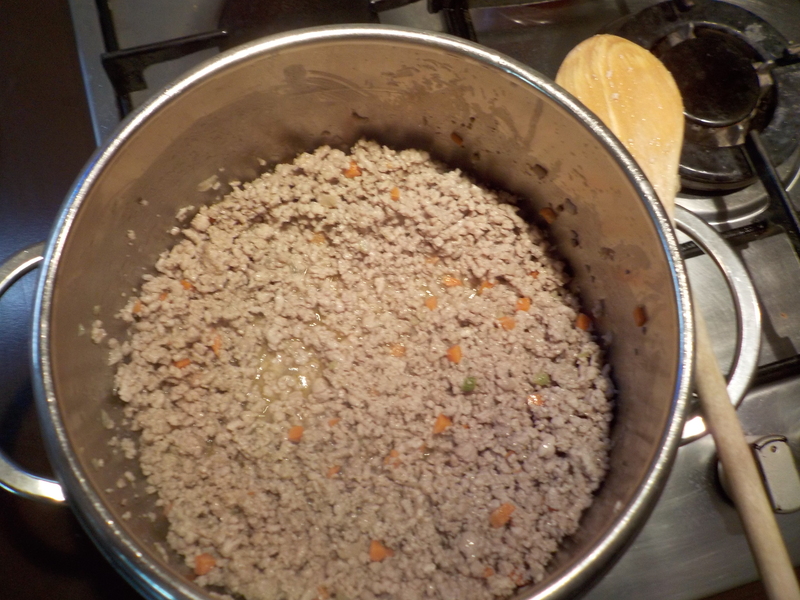 After that, add the minced meat, crumbling it with your hands. Raise the heat to medium and stir well. You need to keep doing that until all the meat has changed colour. 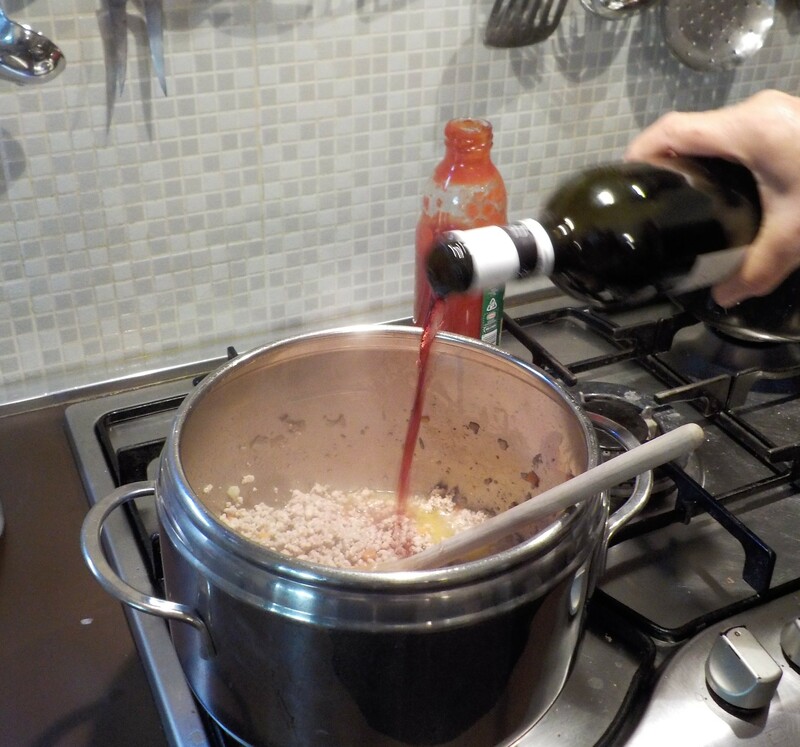 Now pour in the wine, stir well, and stir gently from time to time until the wine evaporates completely. 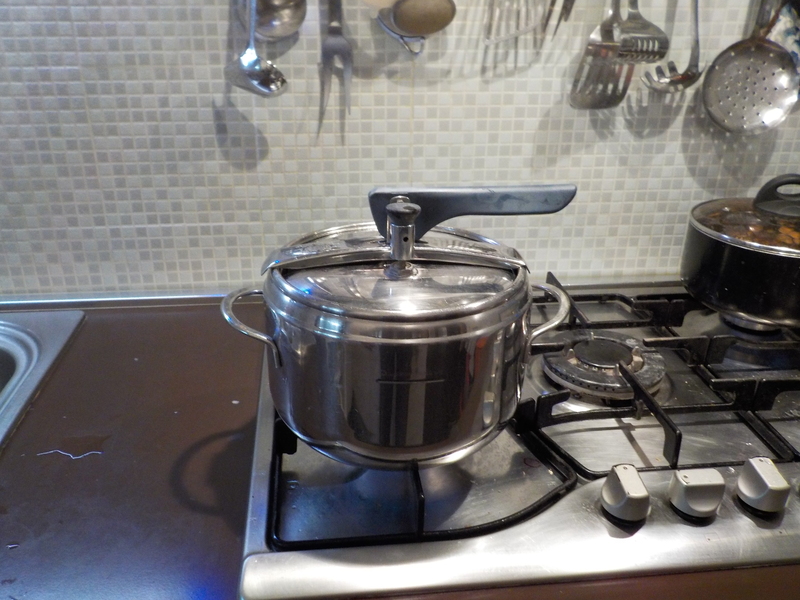 If you are using a pressure cooker, now is the time to stir well, close the lid and the valve and wait for the whistle: when you hear it, go back to low heat and let it cook for another 20 to 30 minutes. 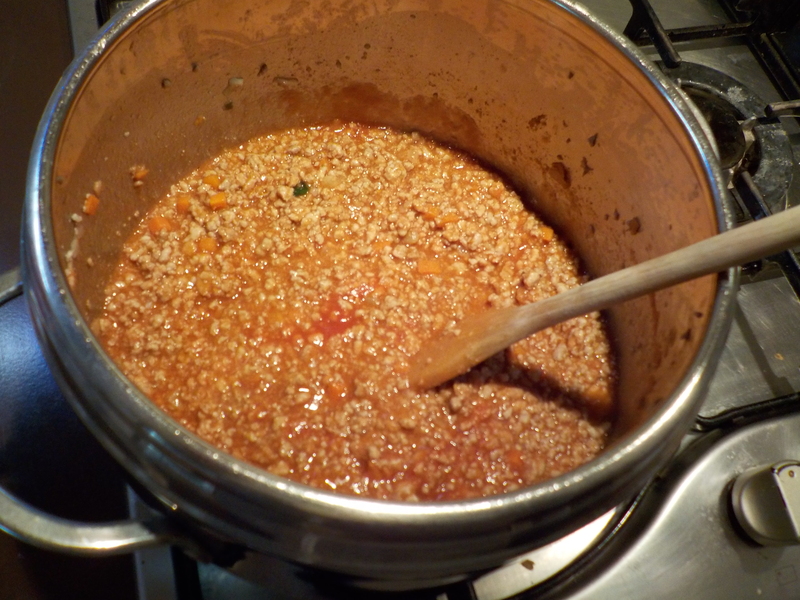 If you don’t have a pressure cooker and are using a normal pot, bring the sauce to boil and then let simmer for at least 40 minutes, stirring from time to time. 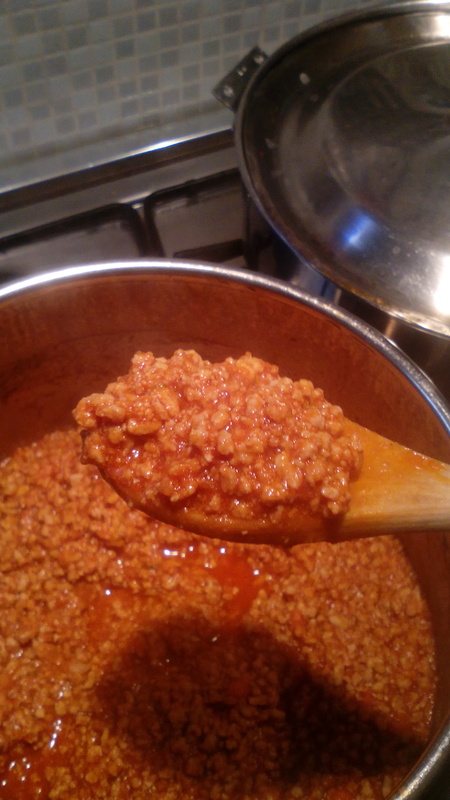 You can enjoy it with any kind of pasta (here’s a guide on how to boil pasta like a pro), to fill tasty Lasagne or Cannelloni, or you also make a quick and tasty grub: just bake a slice of bread covered in Bolognese sauce and some cheese until it is melted, it’s something I love! If you have leftover sauce, you can store it in the fridge for three days or freeze it. Try it and let me know how it goes!! !